Allow South Coast Journeys to host your next Buck’s or Hen’s party, birthday or corporate event. 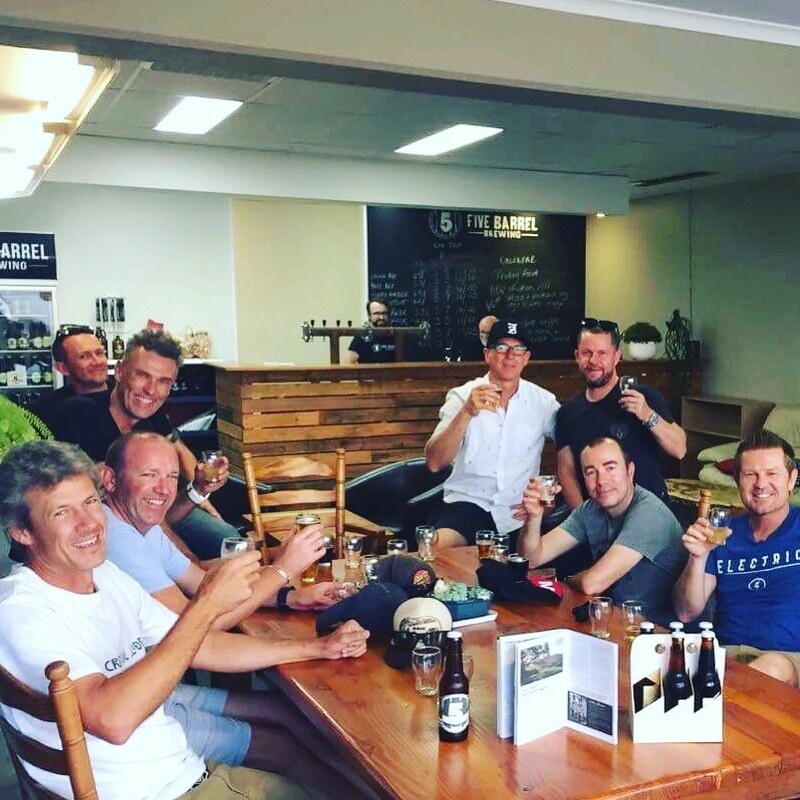 This 1 Day Tour incorporates a range of tasting experiences for the refined drinker that may include: Craft Beer tastings at Five Barrel Brewing, Illawarra Brewing Co., Reub Goldberg Brewing Machine, Bulli Brewing Co, The Illawarra Brewery, Stoic Brewing and spirit tastings at The Co-operative 1888 or The Howlin Wolf Bar. Transport includes a car fridge on the bus (BYO). The Responsible Service of Alcohol applies at ALL LOCATIONS. Below is a sample itinerary. There are many options including adding winery experiences too. We do have a Northern route which starts at Glenbernie Orchard, for Darkes Cider – Howler Apple Cider tastings and learning about the history of turning a family run farm into a local boutique apple cider producer. Sit back and relax as South Coast Journey’s bus takes your group to Five Barrel Brewing. Learn the art and science of making a range of craft beers with Phil, whilst quenching your thirst with a 3 craft beer taster paddle. 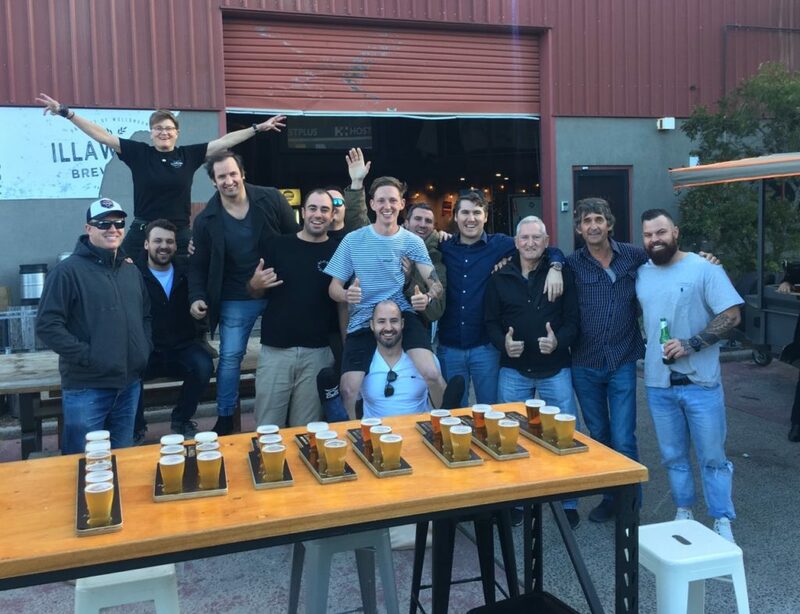 Gourmet Burgers, Sliders and Wood Fire pizza’s at Bulli Brewing. Wash it down with Mick De Brewer’s latest crafty creations. The Illawarra Brewery, can put on a spread of Steak or Fish n chips and salad. Of course while we are here we will have a 3 craft beer taster paddle. We will keep you up-to date on other Food Truck options to at all the local breweries too! If we are down the coast the Blue Swimmer at Seahaven, that update their range of local craft beers weekly. Here we can experience 3 tastings and may choose to stay for a lunch of gourmet burgers or fish tachos among other tasty delights. The Pubs in Berry, Shoalhaven Heads and Jamberoo, are other options. Some parties like to choose a bistro lunch of fresh seafood at Gerroa Boat Fisherman’s Club or a gourmet lunch at a Shoalhaven Coast Winery. 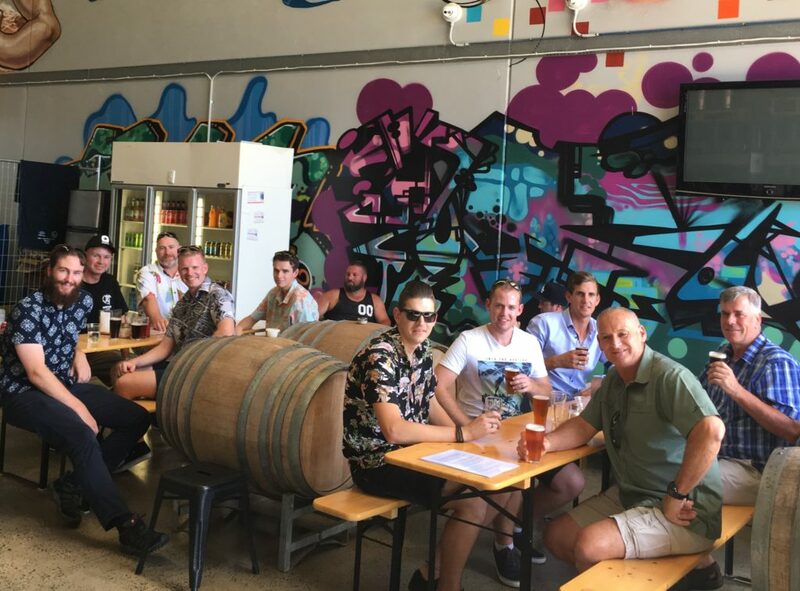 Once again we can tailor the afternoon to your groups interest from enjoy a late afternoon drink in the beer garden at Jamberoo Pub or Gerringong’s new kids on the block Stoic Brewing before returning to the Wollongong region for some of the options below. 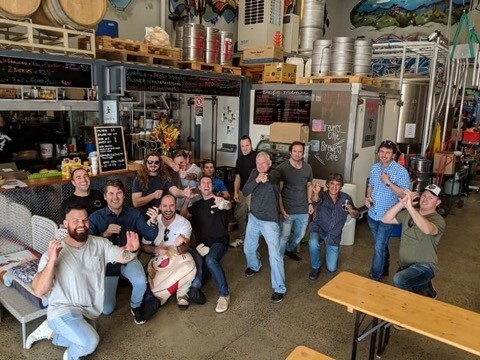 You can choose from some of the Wollongong options including Reub Goldberg Brewing Machine, Five Barrels Brewery, the Howlin Wolf Bar (Whisky) or Red Square (Vodka). 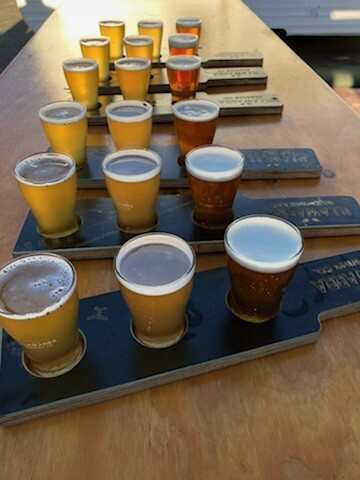 Please note the Northern Route can include these venues along with the Scarborough Hotel: Where you can have a Thirroul brewed Long Board beer and take in the ocean views AND the Headlands Hotel. You can then sit back and relax as we depart back for home – arrival time approximately 6:00 pm. Groups can choose to charter the bus for longer. We take charter group bookings (Prices may vary depending upon numbers. Groups of 6 – 13 are preferred. Larger groups up to 24 can be arranged with enough notice). This service also includes pick up and return from your designated Hotel, Motel or home address. Call / Text Hamish 0421 497 604 to Book or for more information. These 1 Day Tours are available Wednesday to Sundays throughout the year. All tours are subject to availability and availability of key venues.